Your hands are your trade and protecting them is a priority. There are many different situations when doing work in the tower climbing industry that requires gloves specifically made for certain uses. At GME Supply, our Gear Experts® have spent years sourcing the best gloves from around the globe so you can keep your hands safe in any situation. Our gloves include coated gloves, cut-resistant gloves, economy gloves, and trade gloves. Coated gloves have a wide range of uses. Depending on the liner and dip coating these gloves can be used for jobs ranging from industrial manufacturing to chemical resistance. When looking at gloves one of the most important things to look at is how effective those gloves are at protecting your hands from sharp and abrasive material. That’s where cut-resistant gloves come in. The telecom industry is no stranger to sharp edges and jagged metal - that’s why our Gear Experts® put together some of our favorite cut resistant gloves. We feature gloves ranging from ANSI A1 to A8 cut resistance and even have gloves that are compatible with your favorite touchscreen device. ANSI recently updated their cut resistance standards - we’ve got you covered there too. Need help finding the perfect set gloves? 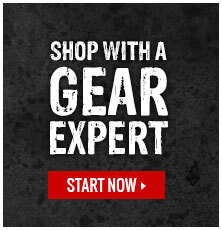 Check in with one of our Gear Experts®.